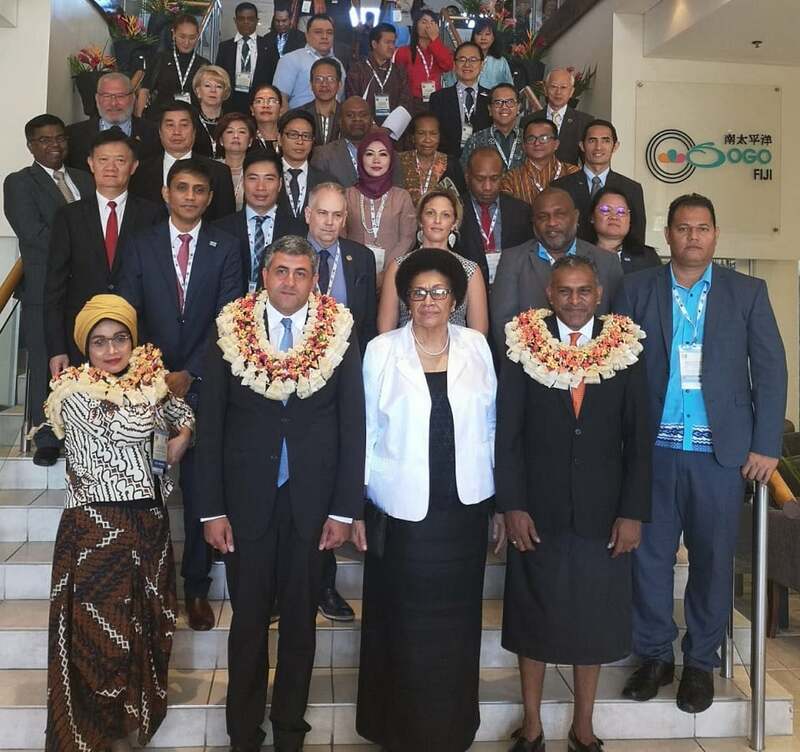 The Secretary-General of the World Tourism Organization (UNWTO), Zurab Pololikashvili, called for the tourism sector to take more action to combat climate change and biodiversity loss during the 30th joint meeting of its Commissions for South Asia and Asia-Pacific in Fiji (18-20 June 2018). Adding his voice to that of the host country, Mr. Pololikashvili advocated for stronger partnerships and incentives for governments, businesses and crucially tourists themselves to make a difference in climate action efforts. He also made clear that sound policies must be built upon accurate evidence, requiring the tourism sector to better measure its impact on sustainability – while acknowledging progress has been made in this regard, including UNWTO’s development of a statistical framework to measure sustainable tourism. The remarks were made as part of a regional seminar on how tourism impacts upon sustainable development efforts in the region and globally, held as part of the meeting in the Fijian city of Nadi. The seminar featured deep dialogue on how tourism policies, partnerships and investments can tackle climate change and biodiversity loss. This was the first Joint Commission meeting held in a Pacific island nation. The meeting and seminar highlighted the need for developing island countries to collaborate on actionable policies, with measurable results, to address climate change and biodiversity protection within the tourism sector. UNWTO also pledged to raise further awareness of climate change’s impacts and effects on tourism through capacity building and educational opportunities. “This is the perfect place to have this conversation on climate change, as Fiji continues to lead the efforts on climate resilience and sustainability not only within the country but in the entire region. This was also demonstrated during the Global Climate Summit COP 23, when the Government of Fiji committed to the development of sustainable tourism as a tool to tackle climate change”, said Mr. Pololikashvili.